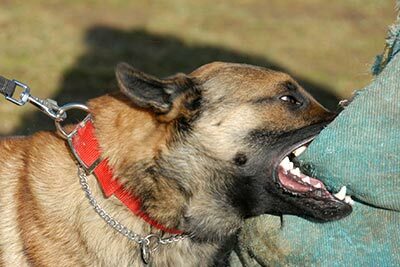 There are ways in which one can be found liable for a dog bite in Ohio. One way is pursuant to the Common Law (i.e. case law). Under the Common Law, in order to be held liable for a dog bite one must have owned or harbored a vicious dog, which one knew was vicious, and one must have been negligent in keeping the dog. The other way in which one can be held liable for a dog bite in Ohio is pursuant to Ohio Revised Code Section 955.28. Most lawsuits now arise pursuant to the statute as one is generally strictly liable for a bite under the statute if one is an owner, keeper or harborer of a dog, regardless of whether or not the dog had any vicious tendencies or any negligence was present on the part of the owner, keeper or harborer. The terms “owner”, “keeper” and “harborer” are well defined. The “owner” is the person to whom the dog belongs. The “keeper” of a dog is the one having the physical control over the dog at the time the bite occurred. In determining whether or not one is a “harborer” of a dog under Ohio law, the focus shifts from possession and control over the dog, to possession and control of the premises where the dog lives. Thus, a harborer is one in possession and control of the premises where the dog lives. Generally speaking, unless the victim of a dog bite was trespassing, teasing, tormenting, or abusing the dog, the victim of a dog bite is entitled to compensation for their injury. If you have been bit by a dog or are the owner of a dog that has bitten another person, an experienced personal injury attorney, such as Joseph T. Burke, can assess your case and discuss your legal options with you.